Ties are what makes a man feel perfect. A suit seems incomplete without a perfect tie with impeccable knots. Ties are the perfect kind of accessory every man drools over. 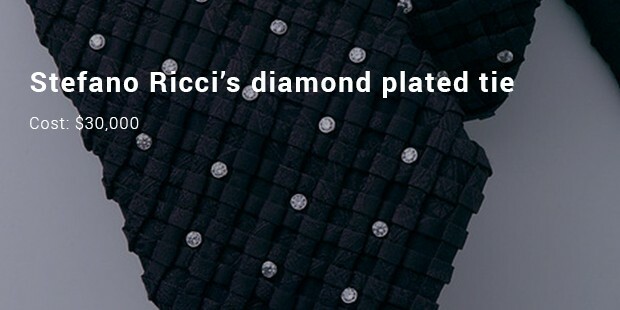 This article of clothing makes is a signature wear. It has always posed a challenge to the designers to create the most desired neckties. Ties these days, are also an accompaniment of casual wears. Ties with vibrant colours are a recent favourite of youth. 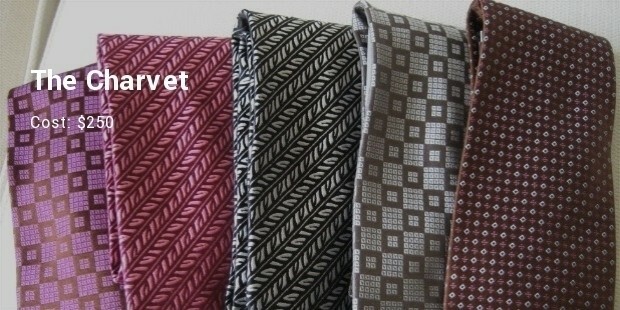 The efforts and the designs by the designer adds to its exclusivity making a necktie expensive. Let’s look into the most expensive ties of the world. 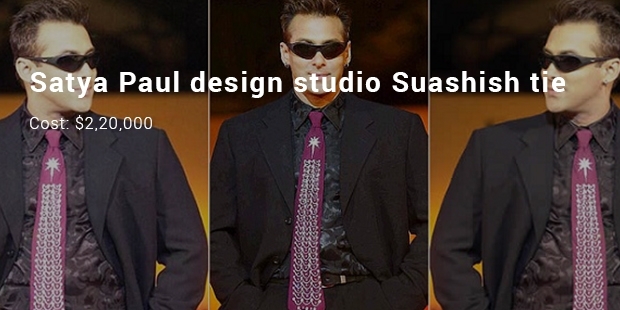 This tie is engraved with diamonds of Suashish Diamond Group designed by Satya Paul design studio. This luxurious piece of neck is made of 271 elegantly crafted diamonds, 150 gms of pure gold coated on a piece of pure silk. Now that’s tie worth owning for the posh and choicest. 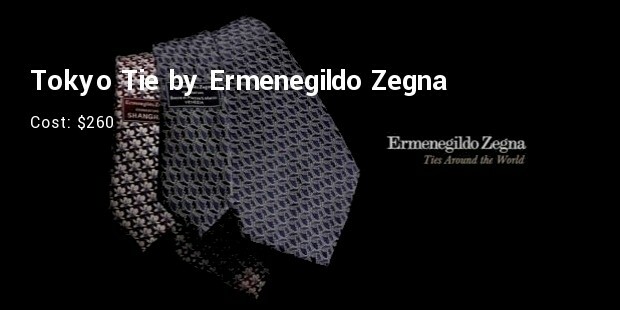 This exclusive and over the top priced necktie is designed by Steffano Ricci. 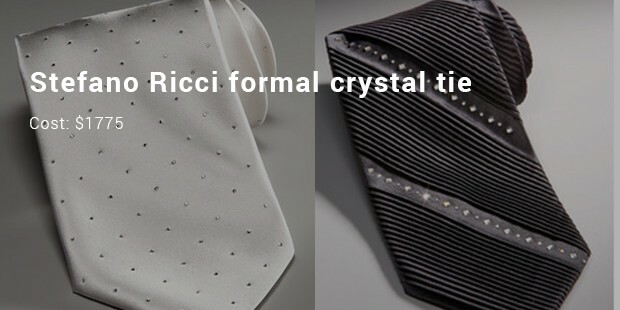 This tie is elegantly plated with diamond and definitely not meant for regular office wear. The exclusivity of the diamonds and the design makes this magnificent piece is an item of jewellery and an item of snob. This spectacular piece of gold neck tie makes a smooth entry in the league of cravats. 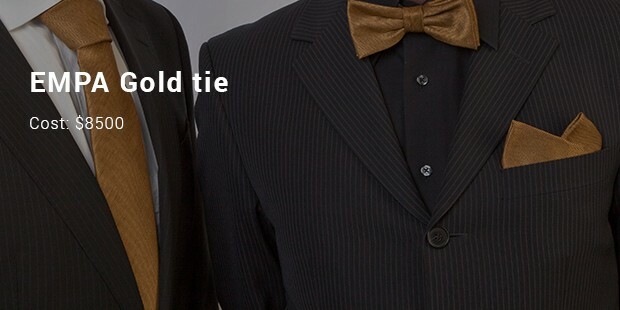 The exclusive thing about this tie is that it took almost 10 years for researchers at EMPA to make a thread that is the best kind of combination made of silk and gold. Enigmatic! For $1,150 you can purchase this 100% pure silk tie created and conceived by this famous fashion designer. 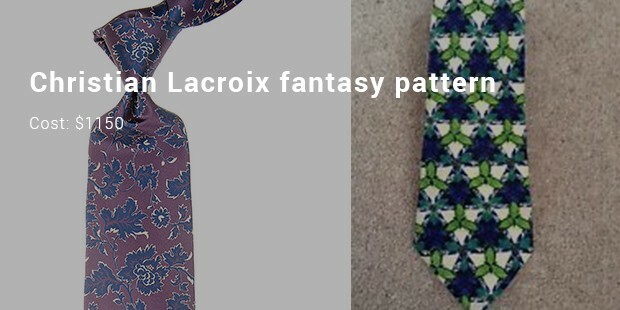 The reason behind such an expensive price is the wonderful quality of the fabric silk, and also of the patterns in which this fabric is cut to make this tie as peculiar as it is pricey. 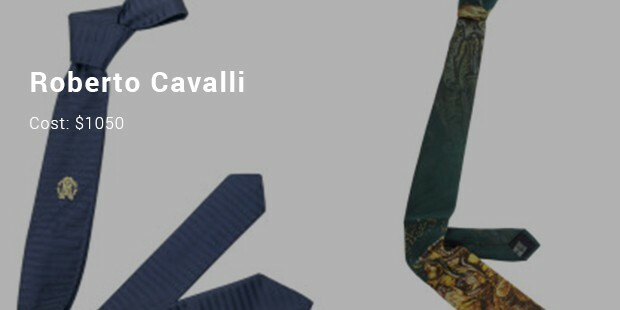 One of the ties from the collection of Roberto Cavalli , the Italian fashion designer came with a huge price tag of $1,050. The piece was 100% pure and beautiful soft silk having a pattern right out of a fantasy world . Roberto Cavalli known for his bold and exotic prints, displays a prominently clear example of the rich Mediterranean design. This exclusive tie, which is a limited and special edition which costs a whopping $260, and It has a beautiful print of the renowned Mount Fuji . The tie is made out of pure silk. Unfortunately for most of the tie collectors and enthusiasts in the world , this beautiful and limited available product is not available for buying . The soft and silky fabric quality which has been sourced and offered by this French company Charvet , is really superb, and so are the ties created by them . As a matter of fact, charvet has become a specific reference symbol for this silk fabric used for ties. In order to purchase one of these exclusive neck pieces one will need around $250. In the year 1980, Prince of Wales had issued to this British manufacturer a Royal warrant . To hold this Royal Warrant is a really big deal, so much so that such firms must stay strongly committed to delivering excellent products and that too of the highest standards. 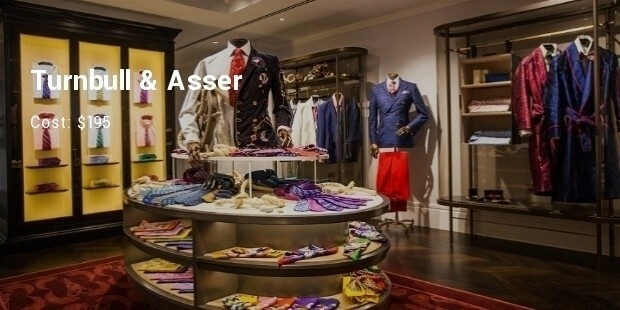 The striped or spotted or even sikud, patterned, slim or paisley whichever it may be , every necktie made by the Turnbull & Asser costs anywhere between $190 and $195. Though these ties seems a little out of the reach for the common man, if you have the appetite to carry the most expensive and the most elegant men’s accessory, the above listed are the ties you should definitely try. These ties are the fantasy of every men on planet.